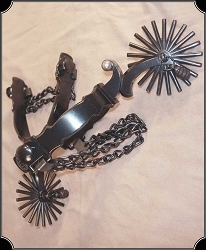 A black steel Mexican Cowboy style spur with a 7 point rowel 2 1/2"
A black steel spur with jingle bobs, 2-1/4 in. shank with 2-1/8 in. 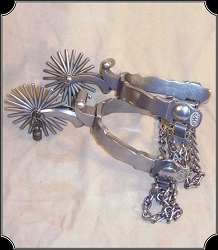 stainless steel rowel. Comes with hand engraved nickel silver overlay. 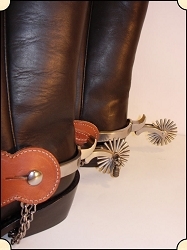 Bridle leather, darkened edges are hand-painted black, chestnut color, nickel plated hardware. 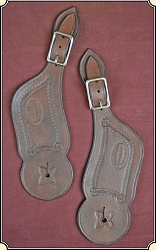 These fancy spur straps have stitching and nickel spots surrounding a basket weave stamp pattern. Edges are blacked. 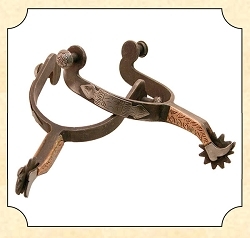 Bright polished Steel Old West style Spurs complete with jingle bobs custom made for River Junction Trade Co.
A great pair of August Buermann Hercules Spurs with leaves engraved on the sides. 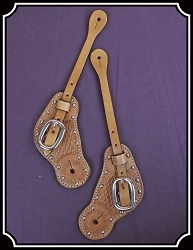 Includes SPur Straps. 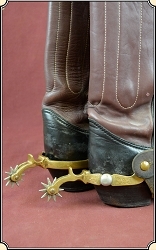 These spurs are a reproduction of spurs that were made in the l890's. 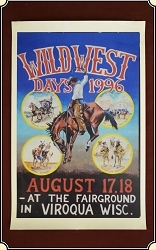 The originals are much sought after by collectors. 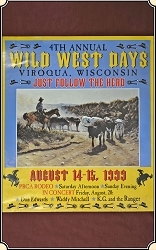 Most young cowboys wanted fancy spurs, but a $1.00 a day wage was not enough to buy such luxuries. 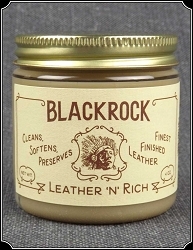 The ranch blacksmith could do the basic work and the young cowboy would add extra touches. 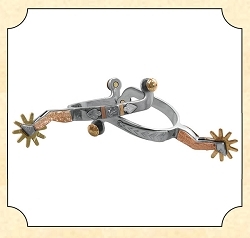 This spur is a copy of just such an item and priced so young cowboys can afford them.